We hope all middle school youth will join us for this exciting program, with fun large group activities, small group communities, and easy to understand teaching. 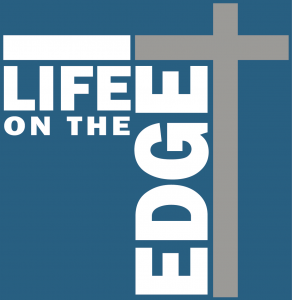 Life on the Edge will transform our youth, helping them to become successful and well-formed teens in the modern world. We offer 3 parent nights per year, and we love seeing parents at each night! If you have children in different programs, you need not attend all parent nights for all classes, just any 3 of them. We have “retreats” as part of our program each year, where students get a little more time with just the other students in their grade, and get more immersed in specific aspects of their faith that they’ll need moving forward. Our 6th graders get introduced to Life on the Edge and learn about the Bible, our 7th graders learn about prayer, and our 8th graders experience mentor-ship from young adults in their faith.